This 1946 aerial view of Felton was donated by the wonderful folks at Felton Fire District. Thanks Bob! 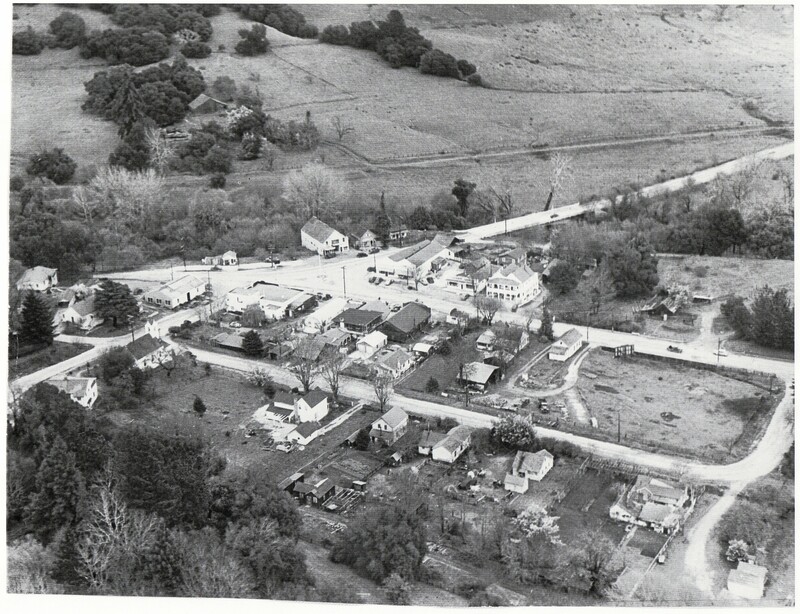 1946 Aerial view of Felton. Courtesy of Felton Fire District. This store is now a private home on E. Zayante Rd. 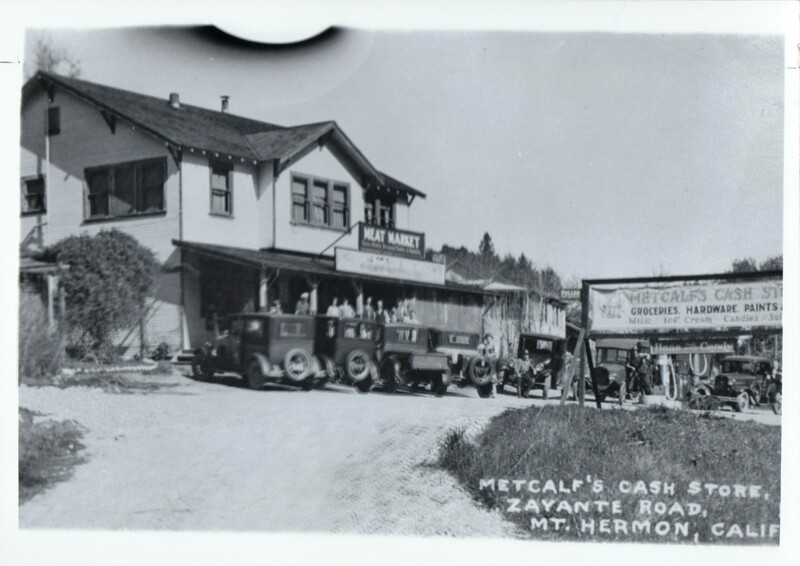 Metcalf’s Cash Store on E. Zayante Rd. circa 1920’s. Courtesy Mt. Hermon Historical Center. This is an amazing, 1908 photo. I’ve never seen one with the train traveling through Felton on the old tracks. Photo taken from up Felton Empire Rd. I am most grateful to Andrea Woolfolk for this wonderful photo. Thanks Andrea! 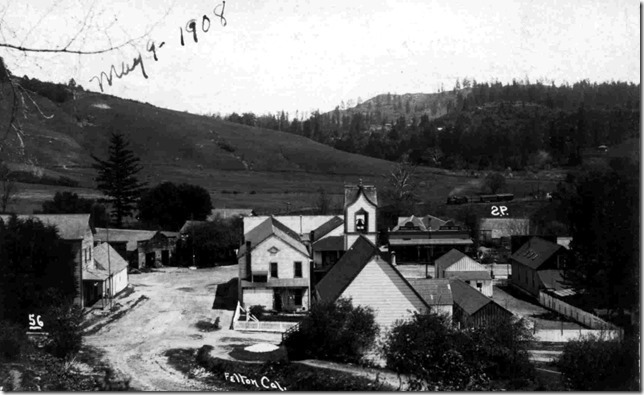 See train rear right chugging through Felton, 1908. Felton Church/Library in middle, front.Courtesy Andrea Woolfolk. A match game of baseball was played Sunday afternoon between the Stars and Red Stockings of Felton. The Stars “skunked” the Red Stockings and the Red Stockings “whitewashed” the stars. Has anyone ever heard of these teams? 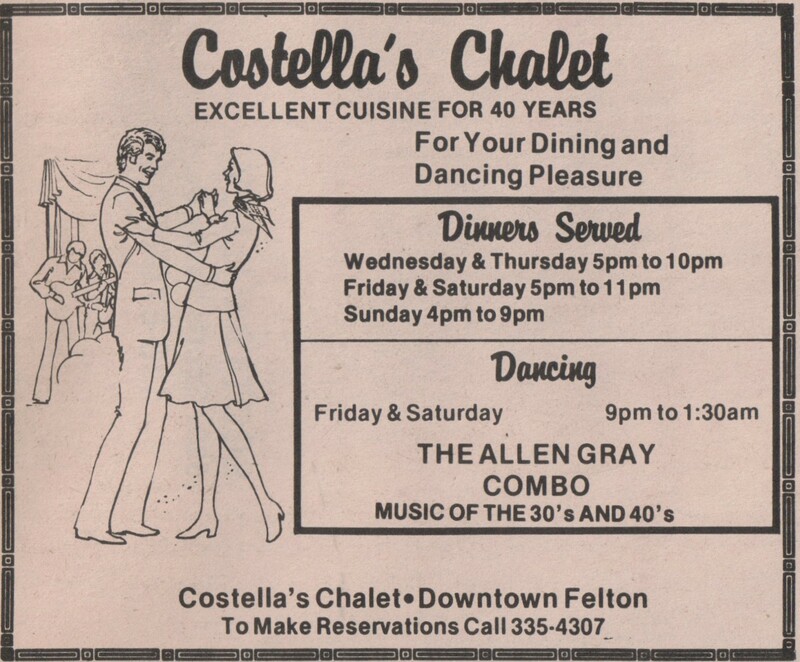 Costella’s Chalet circa 1982. Hwy 9, Felton. Courtesy Mt. Hermon History Center. 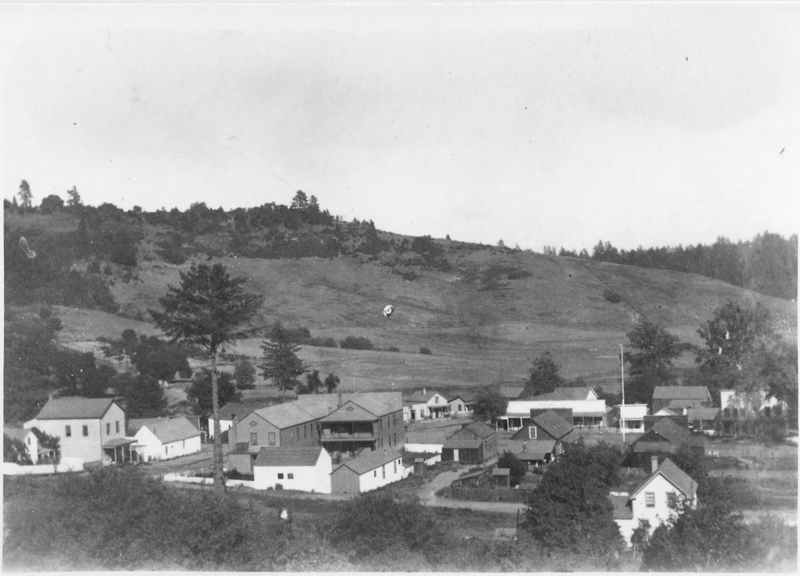 Vintage Photo: 1890’s Gushee St.
Street in foreground now called Gushee St. I believe the old maps show it as Cooper St. Courtesy of the Santa Cruz Museum of Art and History (MAH). 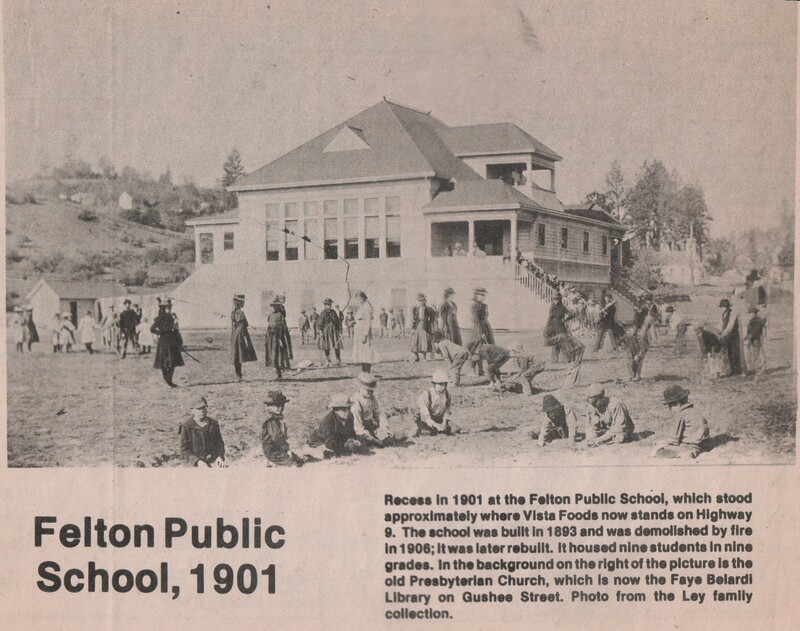 Felton 1890’s. Foreground now Gushee St. Courtesy of MAH. Sits approx. where Rite Aid is today on Highway 9, south Felton. Built in 1898.